Professional Maintenance Services in Hanger Hill. Had your office repainted, but now you don’t know how to handle all the leftover builders rubbish, the dust and splatters everywhere? We from Thomsons Cleaning company can help you with our professional after builder cleaning service, which we offer to the businesses and people of Hanger Hill NW10. We have same day emergency cleaning services if you are in a hurry. Otherwise we are available 365 days a year, and can work in flexible time slots which are most convenient for you. All our cleaners are trained, vetted and skilled and follow all of our implemented quality and safety procedures. If you want a free of charge price offer for our services, contact 020 3746 0000 or send us an online request here. Our customer support center is available 24/7, so call us at any hour of the day or night. The expert cleaning service after builders provided by Thomsons Cleaning NW10 is targeted towards all domestic and commercial customers who need help in making their properties livable once again following refurbishment, construction work or renovations. All our cleaning technicians are experienced and can handle all the leftover dust, debris, plaster and paint spot following the work of the builders. We can also offer you cost-effective builders waste removal, as well as professional carpet or sofa cleaning, so that you can completely eradicate the dust from the premises. We give discounts for ordering combined services. The NW10 cleaners will perform an efficient cleaning of the dust, hoovering, removal of spots and stains from paint and plaster from all surfaces, woodwork and floor polishing, deep kitchen and bathroom cleaning, stair and hallway cleaning, tile cleaning, as well as other cleaning services, which can be done for the hours booked by you. We can do this at night, so that we don’t disrupt your lives or work. Our only requirement is that the builders are finished with the construction, renovations or refurbishment before we proceed with the after builders cleaning. So, if you need someone to give you a hand and expertly clean up after a renovation in your business or home property - book our affordable, professional service right away! This is an hourly based expert cleaning service, so you decide to what extent you want your home or office cleaned. 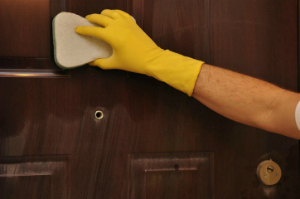 When they arrive in NW10 Hanger Hill, our professional cleaners will inspect the property and the condition it is in and will give you an estimate for the hours necessary for cleaning all up. It is though up to you. The cleaning team will arrive completely equipped with the latest cleaning machines and tools, and with environmentally friendly Prochem certified, professional cleaning solutions which are perfectly safe for animals and people. Book Thomsons After Builders Call for Special Prices! You need to contact our customer support service, which is available 24/7 in NW10 and will process your booking request immediately. Call us at 020 3746 0000 or send us an online booking request here right away. We are ready to provide you emergency, same day after builders cleaning, we can do it at night, or we can do it on any day of the year you choose. Our price is hourly based and fixed, so we will not ask you to pay hidden fees. We do not require you pay a deposit either. If you are a landlord, a regular customer or estate agency you will get our effective prices. Also, if you book a combination of two or more of our services, we will give a major discount! Book now!